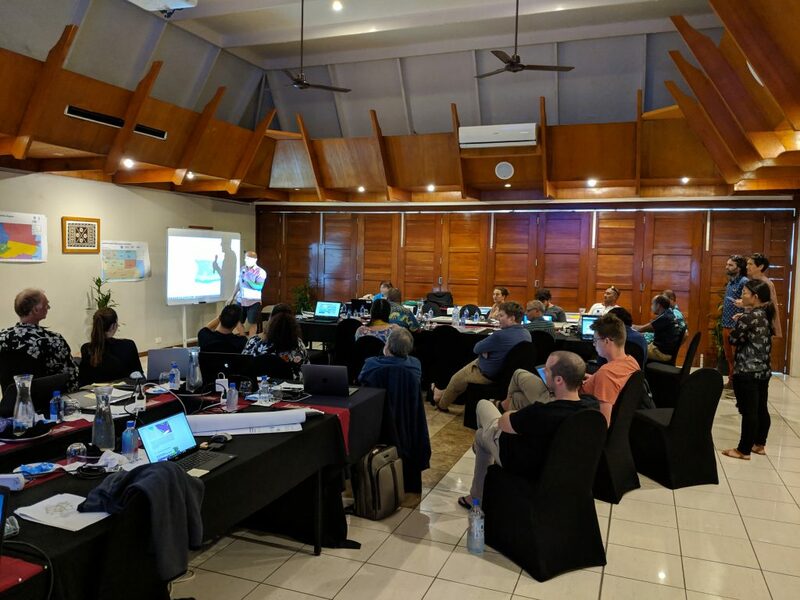 The second Pacific Bioregionalisation workshop (under GOBI’s Bioregionalisation work stream) was held in Nadi Fiji from 12 to 14 March 2019. It was attended by 27 experts from 19 Pacific countries and territories. The experts reviewed the outputs from the first workshop and provided additional details and information on the Pacific bioregional provinces. They refined the boundaries for the bioregional provinces and ensured that they represent the most up-to-date scientific knowledge. Importantly, for each of the benthic and pelagic provinces, the experts described a conceptual model of how the ecosystem and its key components operate within that province. This information complements the description of the species assemblage in each province and how provinces relate with each other in terms of similarities and differences in species composition. The conceptual model also contained information on the pressures on biodiversity within each province and how each pressure affects the species assemblage, allowing for improved management decisions for each province.